Wall Decor Painting of Child. Little children are as charming as flowers. This smiling little imp looks as though she could be cupped within your hands like the sweet blossom from a peony bud. 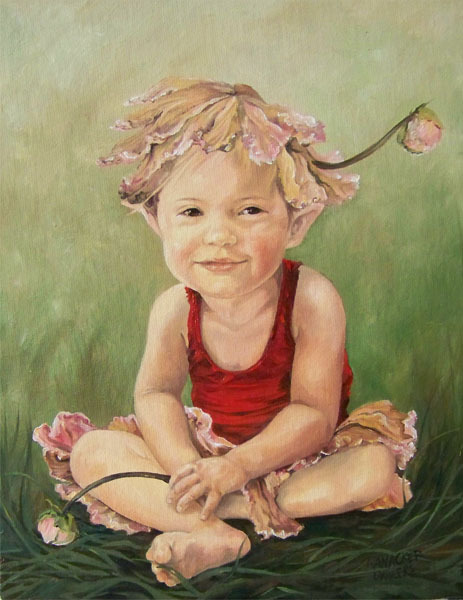 Place her among other flower paintings as wall decoration in a garden themed room.